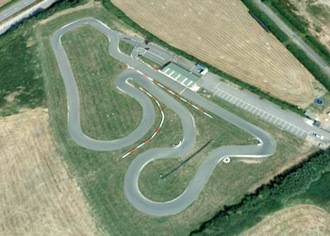 A truly delightful kart track in the middle of the country. This outdoor circuit is quite technical and suits the well-maintained Sodi karts that the owners regularly replace. The venue is floodlit and operates the very latest computer timing system. Extremely reasonable prices and a very friendly team - worth a visit! Leave the M69 at Junction 2 and take the B4669 eastbound. Turn left (northbound) on the B4114 towards Narborough and look out for Leicester Road, which will be on your right. the track is here. 5 minute practice followed by a 15 minute race and a second 15 minute race in reverse grid order. Minimum 5 drivers per sprint event. Five minute practice followed by a 15 minute race and a second 15 minute race in reverse grid order. Includes refreshments for all drivers and trophies for the top 3 drivers. Provide us with your approximate group size and when you would like to attend and we will provide a selection of options. Let us know how many you expect and when you would like to race, and we will put together a list of options.